Though it’s not the biggest trend nowadays, there are still a lot of people who are wearing Military outer. Military outer also has lots of variation, it could be military coat (M-51 or N-3B) pilot jacket, camouflage miliary jacket, and many more! Though the Military outer is famous because the street wear brands bring it to the market, recently some of the high fashion brands have been into it as well. 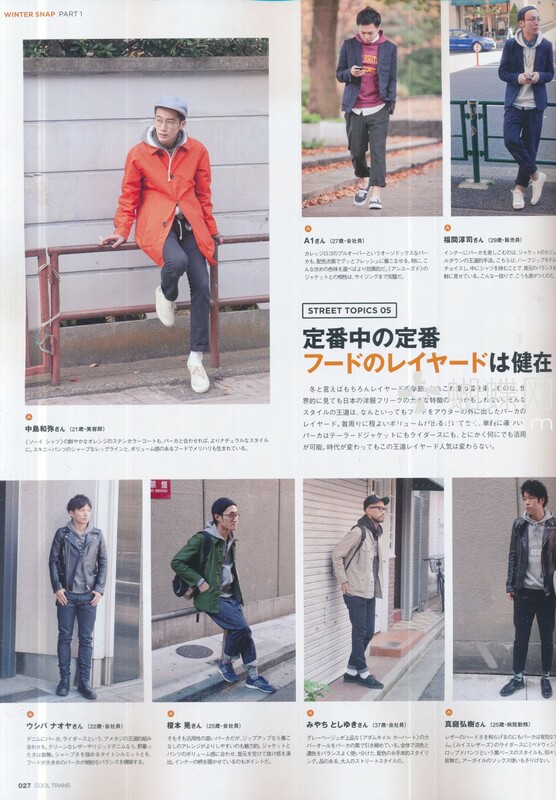 That is the prove that military outer is still one of the strongest trends nowadays, even in the ever-changing Tokyo. 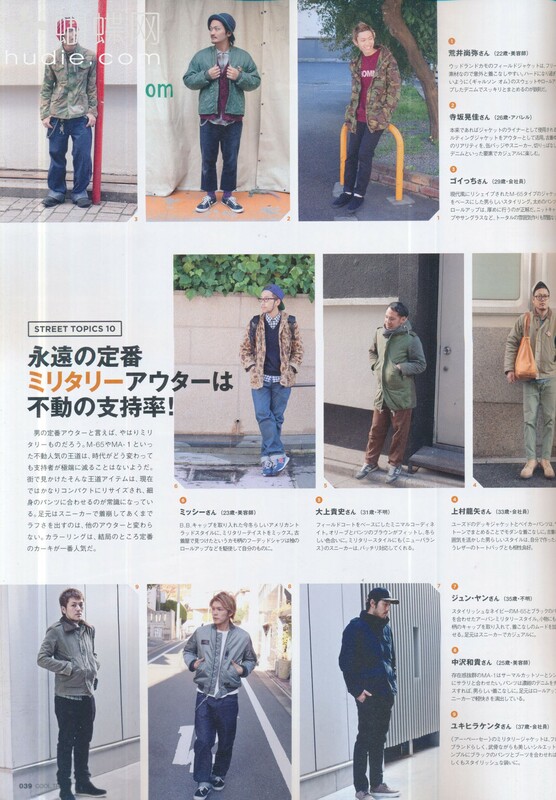 Some brands that are famous regarding the Military Outer in Tokyo are WTAPS, Neighborhood, Bathing ape, and Sophnet. Last year, Outdoor items really was one of the biggest trends, not only in Japan but in Indonesia as well! Since the trend was so big, there were many Japanese fashion labels that produced wide variety of the outdoor products, such as mountain parka, mountain boots, backpack, and many more. However, it looks like the trend is still one of the biggest trend in this year as well. 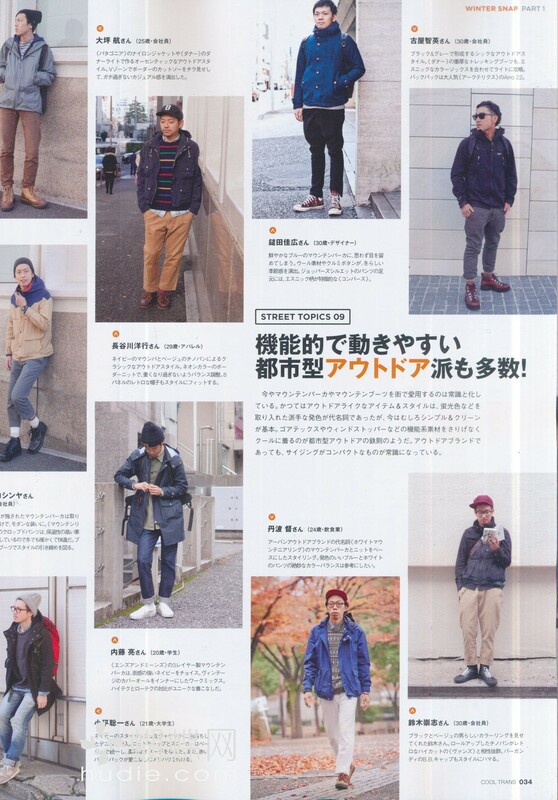 A great numbers of people are still wearing those outdoor products in this winter in Tokyo. Another point that I should mention about the outdoor products is the quality that is sick! Lots of the outdoor items are equipped with GORE-TEX, PERTEX, etc, so it’s can make you survive in any weather. I guess it’s not only a matter of cool, but it’s a matter of cold as well! Some of the most famous brand regarding the outdoor items in Tokyo are White Mountaineering, Visvim, The North Face, Mountain Research, and Arc’terix. Double Breasted Coat are one of the biggest trends in this winter season. Beside the cold winter that is really cold, double-breasted coat is also looking good. There are lots variation of the double-breasted coat, from the model and then the length, which has three different lengths, from a standard ones (around your crotch), a little bit longer ones (around your knee), or the longest ones (around your ankle just like the blue coat on the picture above). There are also a wide range of colours, that could help you to make your own style. You don’t have to be looked formal if you don’t want to since you can also match the colourful double-breasted coat with other casual items. Some of the label that make very good double-breasted coat are Burberry, Lad Musician, Sophnet, Julien David, and Mr. Gentleman. Though there are thousands of colourful cool clothes that you can get in Tokyo, wearing a one tone clothes is one of the hippest trends in Tokyo. Be it black or navy, or even blue, you can still look good even though you’re wearing the same colour items from your head to toe. Winter is cold, do you agree? Hence it gives a nice chance for the socks to put some action in the winter! 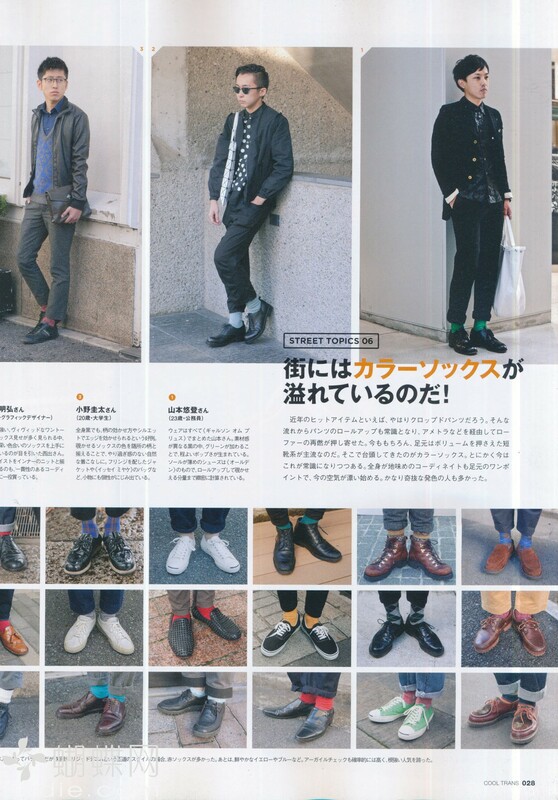 Yeah, there are a wide range of socks that you can find to add more points into your coolness. From one colour socks to the patterned socks, all of them will warm you up and make you cooler as well. Don’t forget to wrap your pants up a little bit or wear an ankle-cut pants, otherwise there is not point in wearing a nice pair of socks. 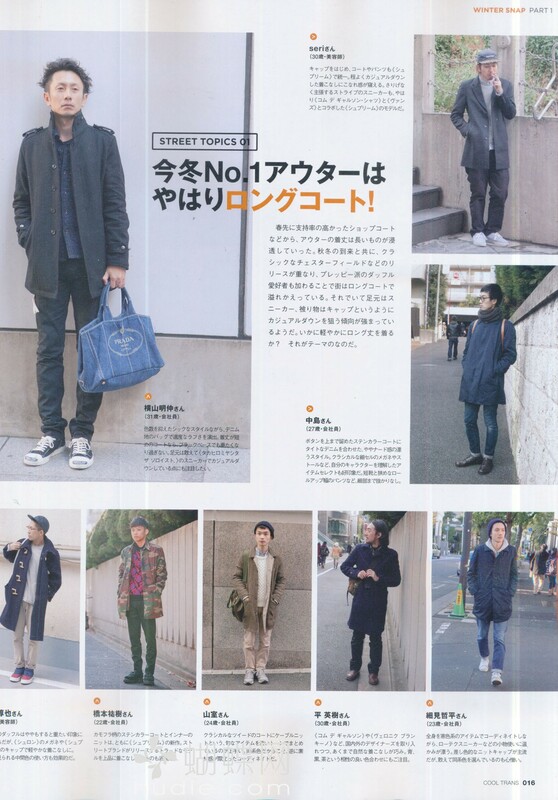 Wearing a hoodie inside your jacket is one of the biggest trend in Tokyo today! Looks like the cold winter forces the Tokyo people to wear more than one jacket or layered outfit when they’re going outside. Therefore, there are a big amount of people who are wearing a hoodie inside your outer. Doesn’t matter what your outer is, it could be rider jacket; mountain parka; coat; or even a tailored jacket, the hoodie can still blend in as long as you take notice of the colour. You can find a red point in what the Tokyoites are wearing easily today. 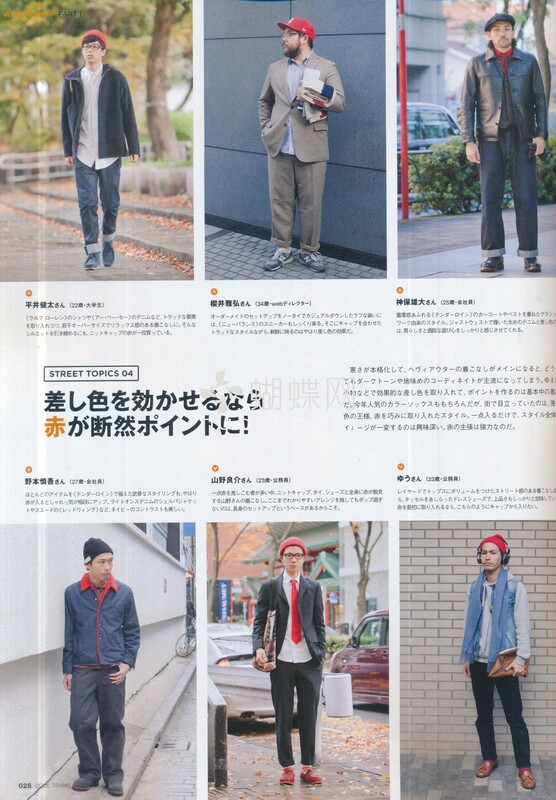 Lots of people wearing something red, like tie; shoes; socks; cap; beanie; or shirt, and mix it with the other colours. The red colour will look stand out, but as long as you can mix it well you will be cooler with the red point and stand out from the other guys. I guess you can’t separate the knit from winter, can you? 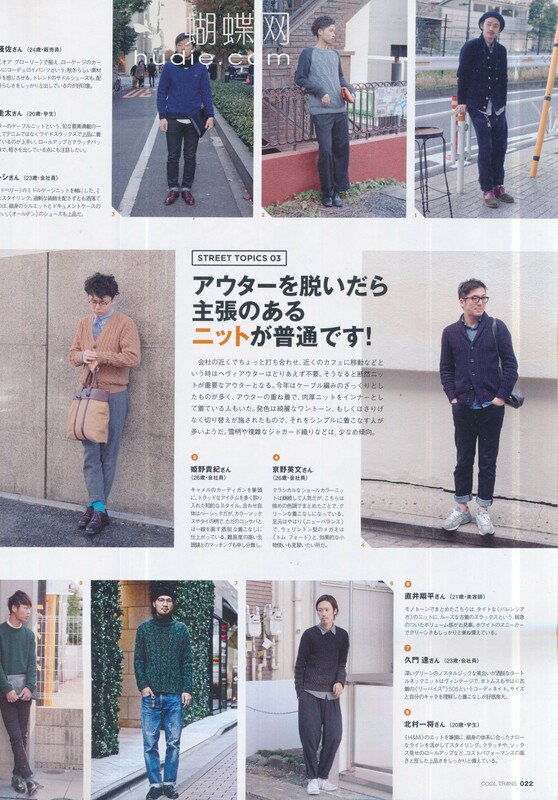 Traditional but still one of the hippest thing in Tokyo, wearing a knit. 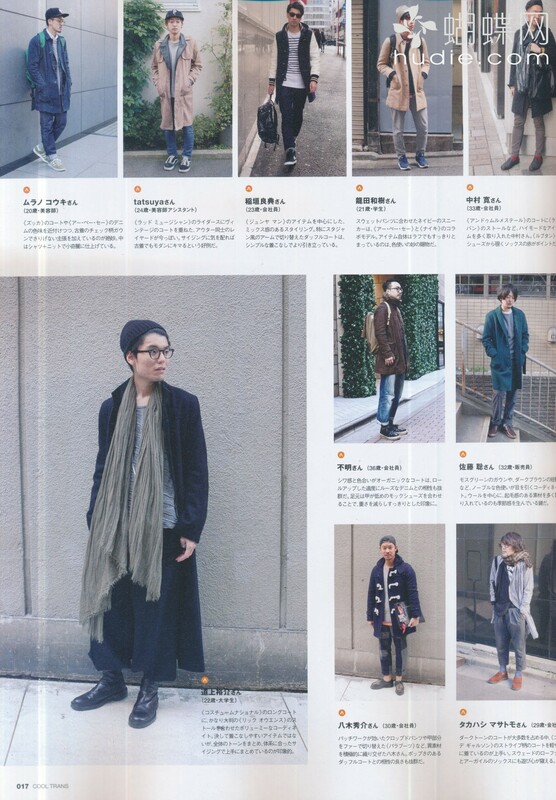 You can find a lot variation of knit that are worn by the Tokyoites, such as knit jacket, sweater, or turtleneck. One of the attractive point of wearing knit is that are a wide range of colour you can choose, from the dark colour to the bright colour knit. You can pair the knit with almost everything, could it be shirt or t-shirt, even if you want to wear something else outside the knit it would still be ok. Some of the Japanese brands that have the cool design of knit are Kenzo, Neighborhood, White Mountaineering, Unused, N.Hoolywood, Takahiro Miyashita The Sololst., kolor, and many more. Some of the popular global brands in Tokyo that’s also offering an outstanding knits in this season are Burberry, Jil Sanders, and Maison Kitsune. Whether it is in Fall/Winter or Spring/Summer season, one of the thing that is always in action is stadium jumper. The reason? Because it’s very cool and it can nicely fit together with your other clothes. 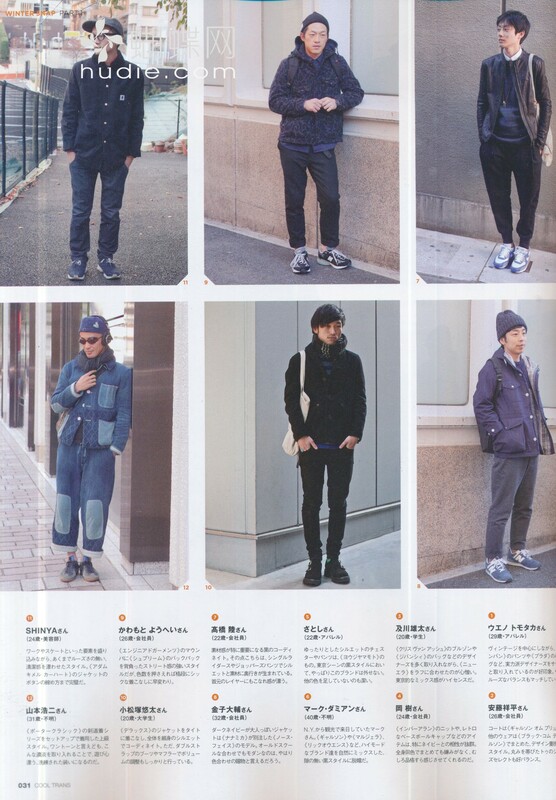 However, lots of Tokyoites are wearing modern kind of stadium jumpers in this season. Though the majority of the cut are the same, the designs are kind of different from the traditional ones where there are often a big letter on it and the designs that are more to baseball or hip-hop. Some of the Japanese brands really make a different designs on their stadium jumpers, like using leather or change the buttons on the middle with rider jacket kind of zipper. A broad range of colour is always available for stadium jumpers. To be honest, it’s kinda hard to choose which stadium jumper that I’d like to buy since there are too many of them that are cool! Some of the Japanese brands that offering great stadium jumpers are Phenomenon, Bedwin & the Heartbreakers, A bathing Ape, White Mountaineering, and Sophnet. On the other hand, an international brand that is bloody popular in Japan offering a nice stadium jacket is no other than Supreme. Ok, I guess you can see it by yourself that the number one trend in the this winter is wearing a long coat. I guess it won’t be exaggerating to say that a long coat is part of the winter since there isn’t any other season that is best to wear a nice long coat other than winter. 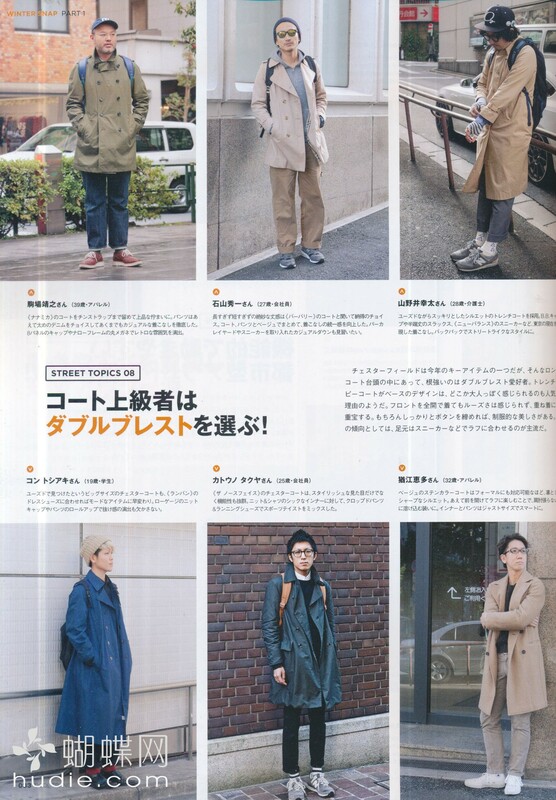 Same goes with the long coat, we can see lots of Tokyoites wear a different length of long coat, from the normal length to the very lengthy ones. Long coat also has a wide variety of models, such as double-breasted coat; Chesterfield coat; military coat; duffle coat; and mods coat, if you want to look more British. During the winter in Tokyo, you can find a long coat almost in every store, from the chain clothing brands like Uniqlo; Zara; and H&M, from the Japanese brands, such as Neighborhood; Sophnet; Visvim; Lad Musician; etc, and from the high-end brands, like Louis Vuitton; Dior; Prada; etc. So, don’t ever forget to wear one if you’re in the winter season. 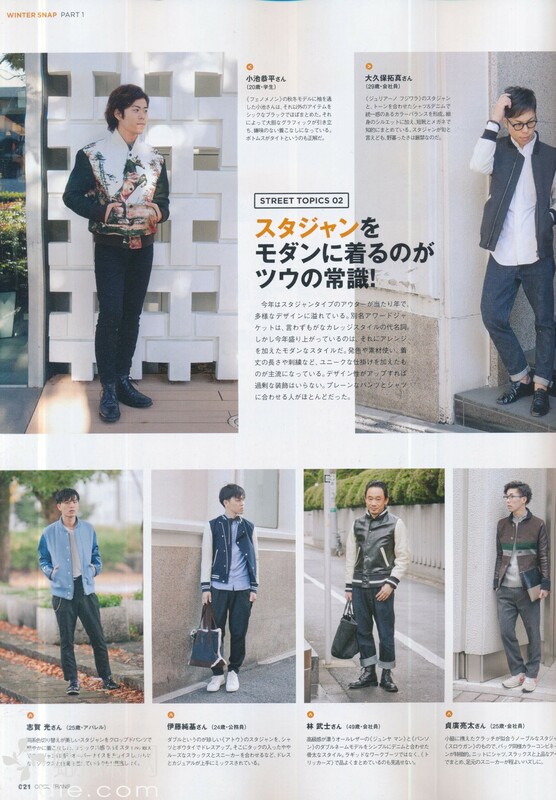 Well, I guess “Tokyo is one of the major fashion cities in the world” is definitely true. 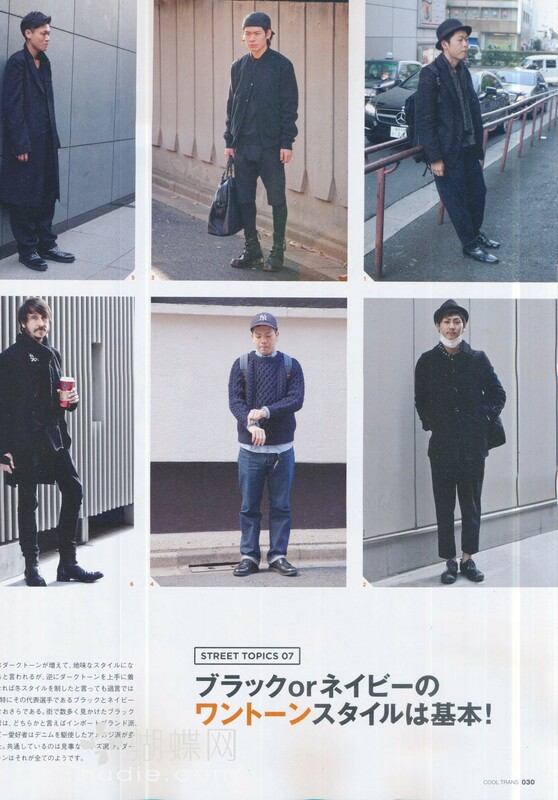 Whether it’s in spring/summer or fall/winter, the Tokyoites never stop to invent a new trends. Though the world is always moving, as well as the trends, we can still some of the people invent a cool style by fusing it with traditional items. So that’s all for the winter trends in Tokyo, let’s see how the trends in following seasons will be..